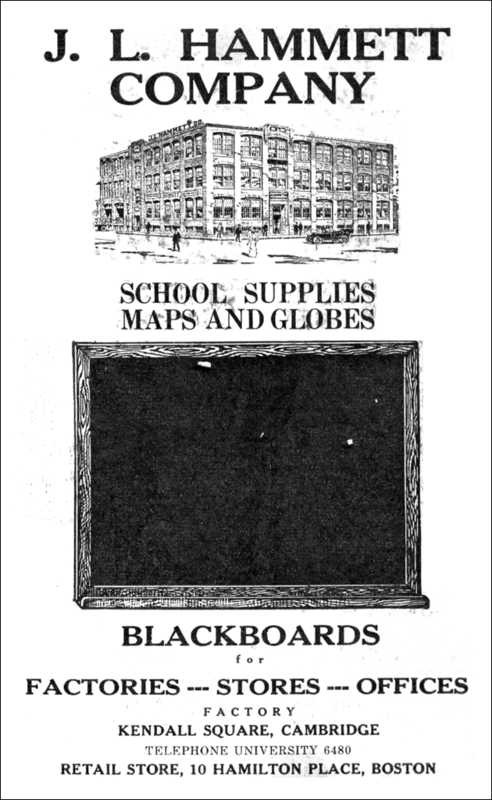 The J. L. Hammett Company, the first school supply manufacturer in the United States, was formed by J. L. Hammett in 1863. By the early twentieth century, the firm had outgrown its original Boston factory and required a larger plant to accommodate increased business. The company moved to Cambridge in 1915 and constructed a modern four-story brick plant on Main and Hayward Streets. By the 1930s, the company had a capital of $400,000 and employed 150 workers (Stone, 1930).